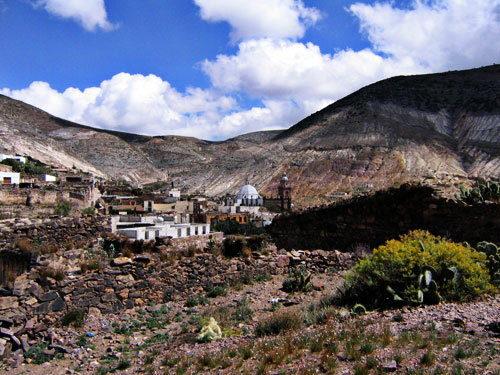 That's a photo from the far edge of Real de Catorce. Its about a 15 minute walk to the far side of town where you enter through a 3km long mining tunnel, one lane wide. The road continues out on the other side of town, but I never saw a single car on it.